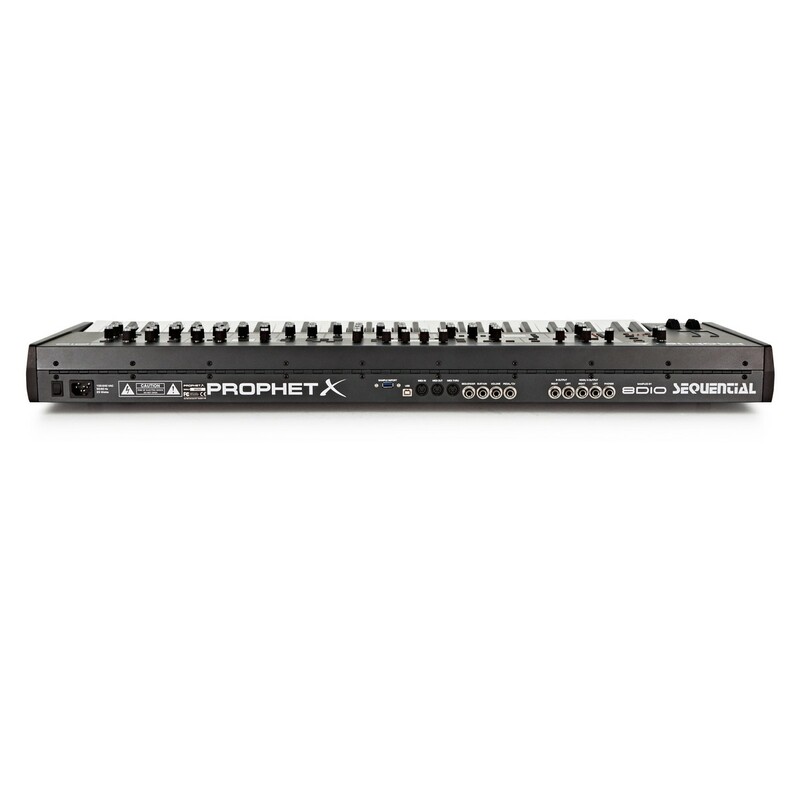 The Sequential Prophet X Synthesizer builds on the success of the renowned Prophet range from Dave Smith Instruments. 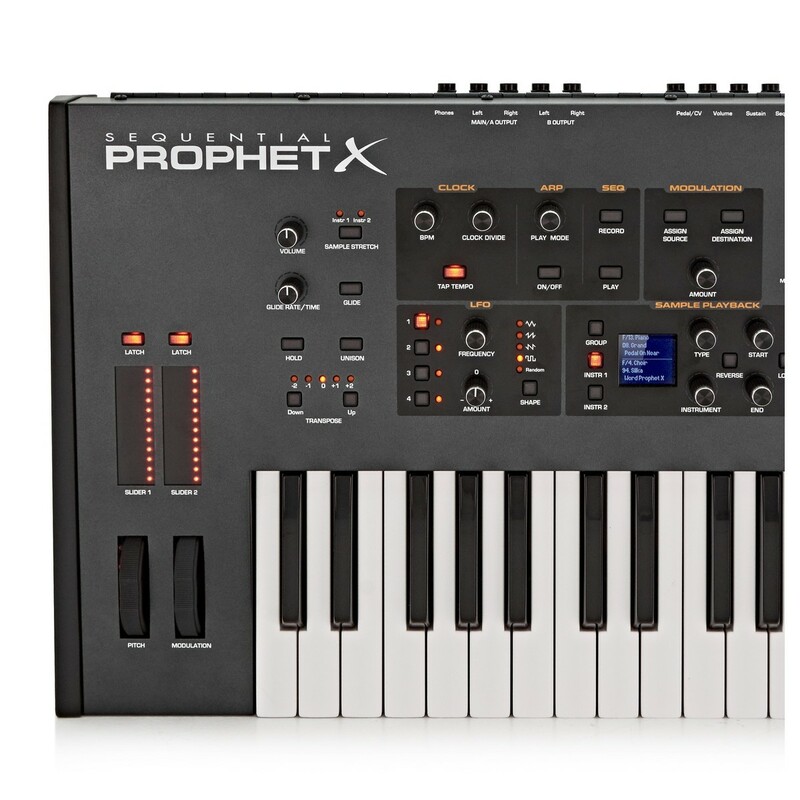 The Prophet X features a bi-timbral, 8-voice-stereo design with a brand-new sound engine. 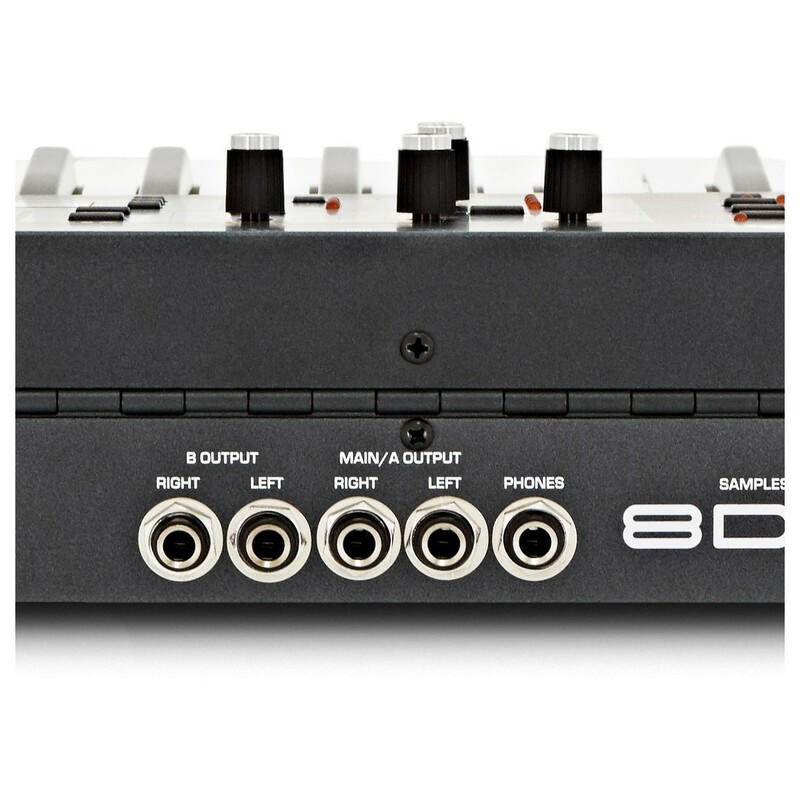 The innovative sound engine powers the dual simultaneous 16-bit 48kHz sample-based instruments, as well as boasting dual high-resolution digital oscillators. The Prophet Synthesizer includes a 150GB sample library, with premium-grade sound created by acclaimed sound developers 8Dio. The sample library spans everything from grand piano sounds to cutting-edge synth sounds. 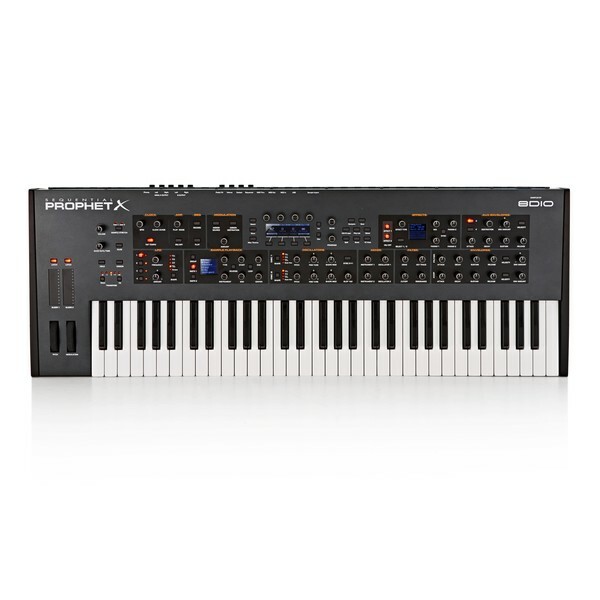 The Prophet X also features a 61-note velocity-sensitive, semi-weighted keybed with aftertouch for fluid playability. 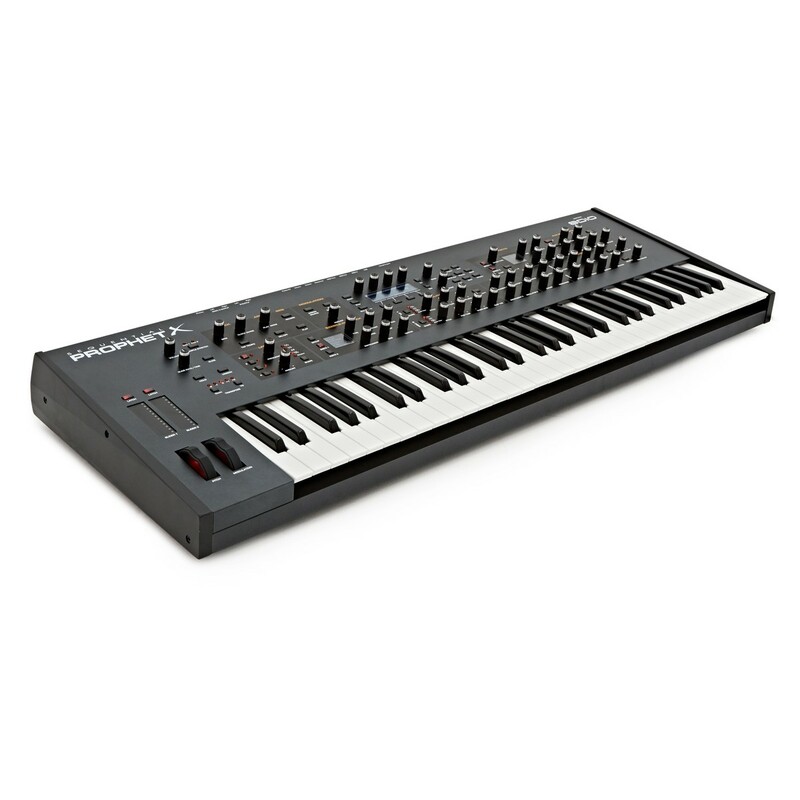 The Sequential Prophet X is the latest in the Prophet range of synthesizers, made famous originally by Dave Smith instruments. The Prophet X features a bi-timbral, 8-voice stereo (16-voice mono) design, fusing the characteristics of classic analog synths with modern-day innovation. At the heart of the Prophet X is a new sound engine, providing infinite ways to create and sculpt high-fidelity stereo samples. 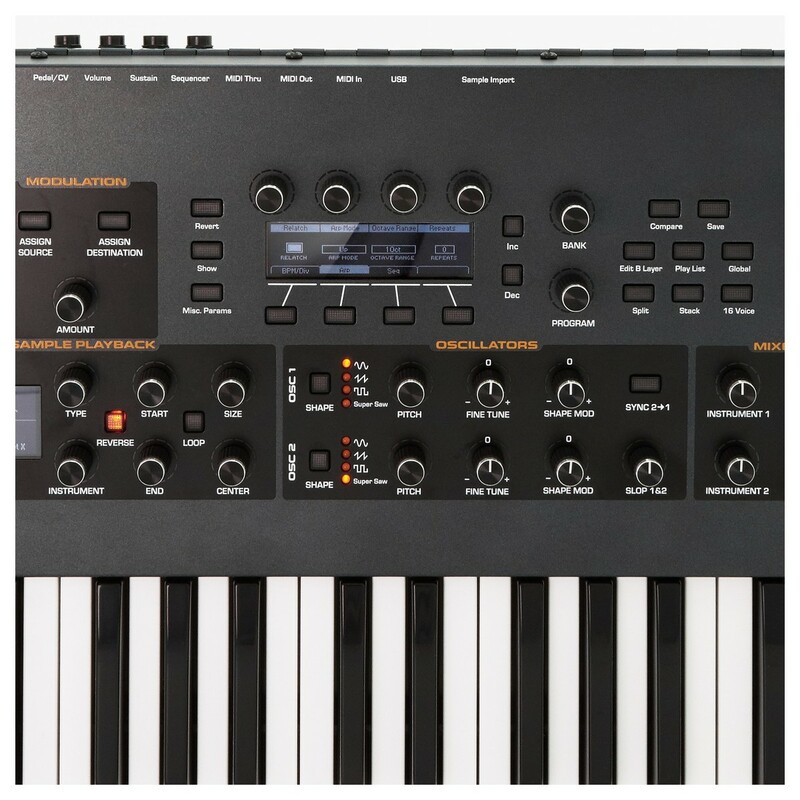 The brand new sound engine acts as the heart of the Prophet X synthesizer, powering two simultaneous 16-bit 48kHz sample-based instruments, as well as dual high-resolution digital oscillators with waveshape modulation. These instruments and oscillators can be further sculpted and manipulated using the stereo analog filters. This gives you unprecedented control over your sound design capabilities, giving you all the tools you need to create any sound/tone your heart desires. Dave Smith Instruments are renowned for premium-grade sound design capabilities, especially for their wide sound palette and rich, textured sounds. 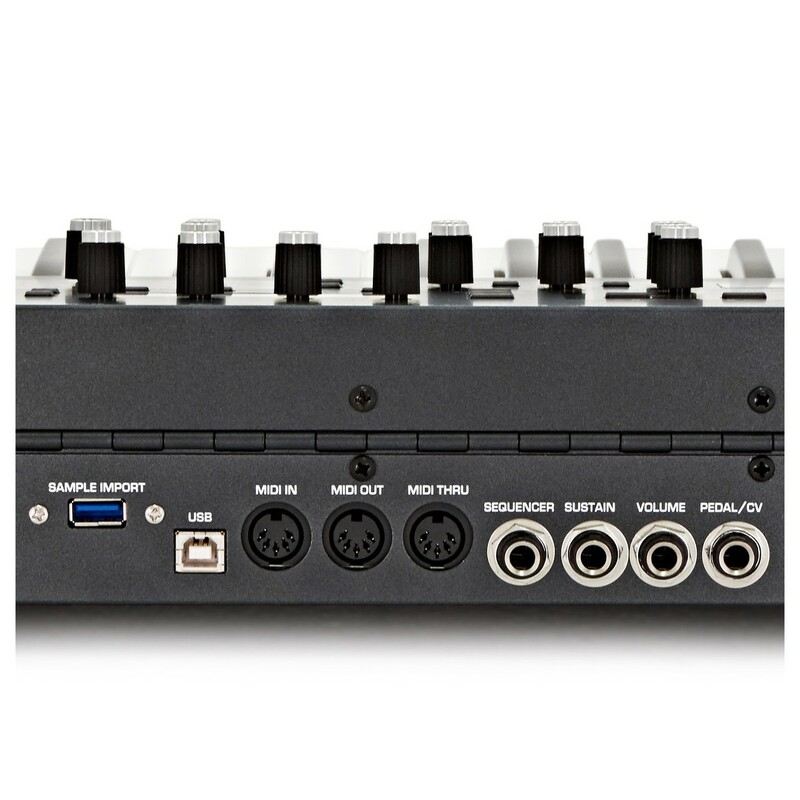 The Prophet X boasts a 150-GB sample library, with each sound created by critically acclaimed sound developers 8Dio. The sample library spans every genre and instrument you can think of, ranging from acoustic and electronic instruments to ambient and cinematic effects. You can further shape the samples and sounds through sample stretching, loop manipulation, 4 envelope generators, 4 LFOs, deep modulation matrix and a wide range of other tools. In addition to the comprehensive sample library, the Prophet X also provides you with 50GB of internal storage for storing additional samples. Support for user-created sample content is expected to be ready for December, 2018. 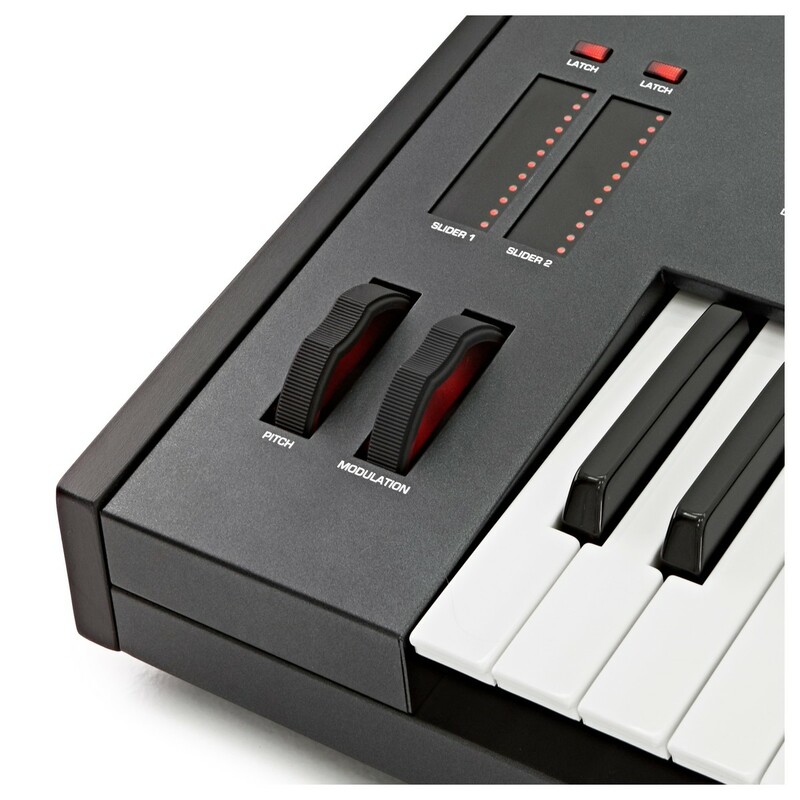 The comprehensive control section is accompanied by the five octave, 61-note, semi-weighted keybed, featuring velocity-sensitive keys with channel aftertouch. The keybed provides fluid playability, highly suitable for pianists and keyboard players, emulating a grand piano keybed for exceptional realism. The synth also includes three OLED displays which provide information on your samples, parameters, sounds, effects and more. 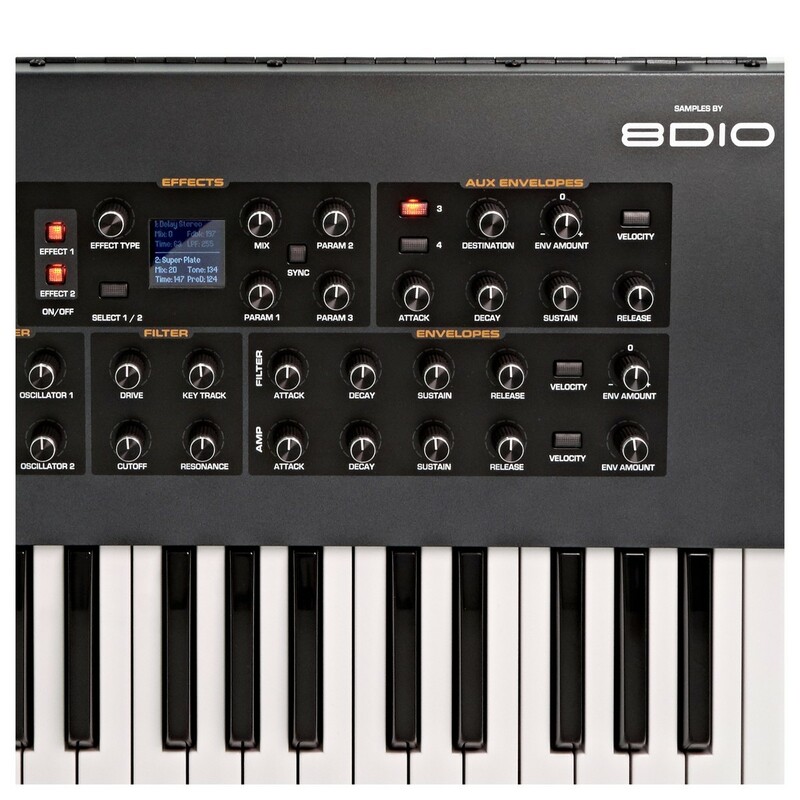 The synthesizer is ideal for a range of applications from live and studio keyboardists to music production, as well as sound designers for film, TV, gaming and more. The Prophet X also features a built-in power supply and USB support as well as touchstrips accompanied by the main pitch and modulation wheels.